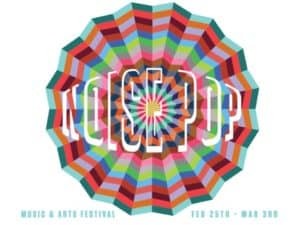 KZSC would like to thank Noise Pop for letting us cover the festival! In case you missed it, here are links to our 2019 Noise Pop coverage. In the end it wasn’t an end to a show, rather a goodbye for now from Princess Nokia. The Band’s overall performance was an intoxicating madness. Despite her incredible success already, it is clear Kodie Shane has barely scratched the surface of what she will create in her musical career. Tommy Newport and his opening acts intertwined with each other’s music style, and created a harmonious atmosphere where everyone was engaged with the music, and each other. Los Wálters closed out the night to a dynamic crowd of mildly drunk bodies who flopped around eagerly to the Puerto Rican duos electronic synth pop. Some crowd members danced while holding dolls of babies in the air. An oddity to see.